For many Americans, the only time they deal with an accountant is once a year at tax time. While this may seem sufficient for some, this strategy is not so wise for business owners. 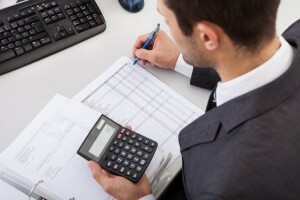 A good real estate accountant can do much more than file your annual tax returns. Taking advantage of their knowledge about tax law is a smart decision for any real estate investor. They need to understand the tax code beyond just tax collection requirements so that you can maximize the deductions that are available. Like most other power team members you want to choose real estate accountants that either have real estate investments of their own, or have experience with investment properties. I’s important to select one that understands where you want to go with your business and one that you can communicate well with and trust. You’ll want someone aggressive enough to reduce your expenses and increase your Return on Investment; yet conservative enough to keep you out of trouble with the IRS. One of the many amazing advantages of investing in real estate is the great tax advantages it brings. Finding a real estate accountant that understands those, and can implement steps to get you those tax savings, is worth their weight in gold. The more money we save in taxes means the more money in our pockets. Now that’s how to invest in real estate. Accountants can provide you with professional advice on the best entity structure for tax purposes. Your attorney will counsel you about incorporating for liability reasons, but your accountant will counsel you on how to structure for tax savings. They can help you to record your income and expenses efficiently, and to help ensure no deductions are missed. A real estate accountant can even help structure your investments in a tax efficient manner. At Simple Acquisitions we like to use leverage to acquire properties. Accountants can show you how leverage can be smartly used and at lower risk to help grow your assets. Investment companies like Simple Acquisitions should meet with their accountants quarterly. It may seem like a lot, but the more you meet with them the more they understand your business. They can bring you up to speed on any changing tax laws that may impact your business and keep track of important deductions. It also gives you the opportunity to notify them of any changes to your business that might have tax implications. The long term benefits of regular contact with your real estate accountant far out-weight the price tag of the consultations. 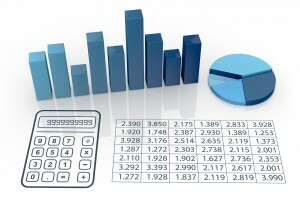 Accountants are one of the most important power team members a real estate investor can have. Take the time to find the right one and you will love meeting with them to see how much money they saved you! To learn more about real estate investing or how getting involved can benefit YOU, contact us.